In this postwe will see 1. What is Placeshifting? 2. What is difference between Placeshifting and Timeshifting technologies? 3. Various players in this market and their offerings. In late 80s VCR brought the technology to watch your favorite program TV whenever you want to. It is basically a timeshifting technology. In contrast Placeshifting technology enables you to watch TV wherever you want to. It allows anyone with a broadband Internet connection to forward video streams from any source (your home television set, DVR , DVD player or home security camera) for remote viewing on a computer, tablet, or mobile phone at any location using high-speed Internet. Placeshifting can be done at home, between rooms using Home network. Placeshift content can be of live TV or from DVRs. The desire to view sports events live anywhere created the demand for Placeshifting products. Customers see a value, flexibility, and ease of use. The important players in this field are Sling Media, Mansoon Multi media (http://www.myvulkano.com/) and Sony Location Free. We will see products from Sling Media in details. About 3 years back with the introduction of Tata Sky+, we began to hear about timeshifting technology and a new category of products called digital video recorders (DVRs) or PVRs or personal video recorders came into Indian market. Other DTH providers followed soon. The PVR allowed users to record a program and watch it later, at a more convenient time. Consumers could record programs using their VCR, but the DVR automated the process and added more features and capabilities like pause, replay etc on live programs. Since Placeshifting source can be a DVR or PVR it can be considered as superset which encompasses timeshifting too. Consumer devices using IP can provide palceshifting functionality from any video source and can be standalone products, ex: sling box from Sling media . Placeshifting technology can be built into the PVR itself ex: DishNetwork Sling Loaded. Another way is to run a placeshifting apps in a PC or a MAC to stream media to a remote laptop or a phone. Ex: MythTV, Orb Networks, Sugar sync, etc. These software applications work similarly to remote desktop software like pcAnywhere, providing the ability to view and control devices (and specifically media stored on those devices) remotely. Sling Media is the pioneer in placeshifting technlogy. They have many products to enable you to watch your home television programs, no matter whereever you are, even from abroad. Slingbox is connected to a Video source (Set-top Box) using RCA cables and the other end is connected to home router using Ethernet. Using the existing Home network you can placeshift your TV programs to your computer or mobile in another room. You can have even HD quality video (down converted to 1080i). The Slingbox transcodes SD video to MPEG2 and HD video to H.264. Using the broadband internet connection you can watch your Home TV programs anywhere in the World in your mobile or computer running the sling media application. With the Slingbox® PRO-HD you can take your entire HD home theater with you wherever you go. You can connect to multiple A/V devices and tune in to your favorite TV shows, sporting events in 1080i. It can easily connect up to three home theater devices, and watch it on a PC, Mac, or mobile phone anywhere in the World. This needs minimum 1.5mpbs bandwidth. For smooth operation 3Mbps bandwidth is recommended. 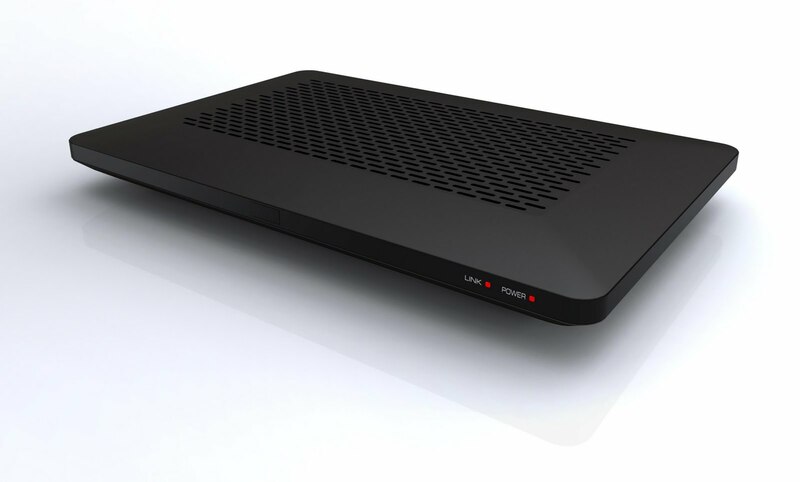 Slingbox Solo gives you the same features and ease of use as PRO-HD except that it cannot output HD content. It can accept HD input but down converts it to 640X480 resolutions. It needs 600kbps bandwidth for SD video and 150kbps for mobile operation. This for those who are in search of multi-room HDTV solutions, the Sling® Receiver 300 is a low-cost IP set-top box that delivers HDTV programming directly from a SlingLoaded™ HD-DVR to a second HDTV in any part of the home. The Sling Receiver 300 connects to the video inputs on the second TV and communicates with the SlingLoaded DVR over the home network so that customers with only one DVR can view television and recorded content on another HDTV in their home. This is for Geeks. Myth TV is an open source DVR which can run on any Linux Box. You may pause, fast-forward and rewind live Television. You may install multiple video capture cards to record more than one program at a time. You may use any combination of standard analog capture card, MPEG-2, MJPEG, DVB, HDTV, USB and firewire capture devices. Program Guide Data in some parts of World are available from download. 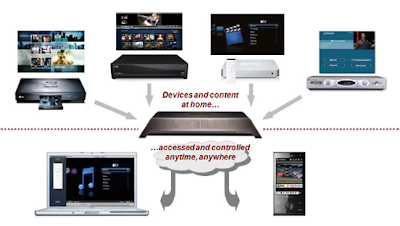 MythTV implements a UPNP server, so a UPNP client should automatically see content from your MythTV system.